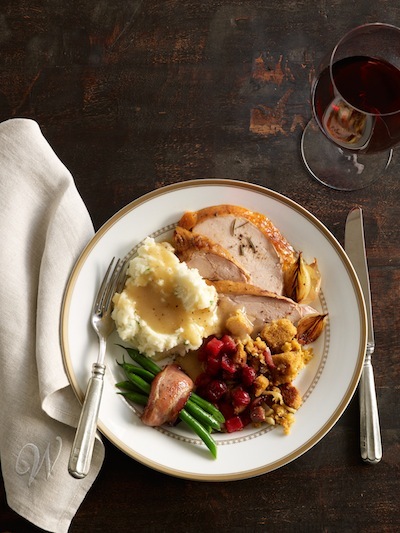 Published on October 25, 2015 in Project Update and Recipes. 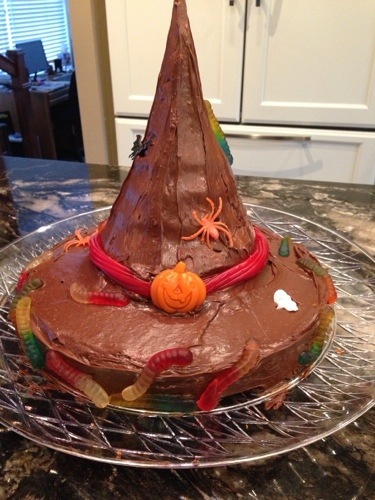 1 Comment Tags: banana ghosts, halloween, Halloween lunch, spider deviled eggs, witch hat cake. 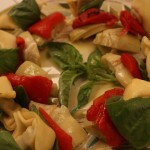 Published on December 17, 2011 in Project Update and Recipes. 0 Comments Tags: appetizer, Taste This! 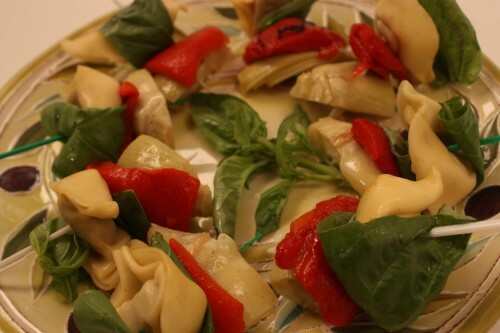 The Delicious Sequel, Tortellini Skewers, vegetarian. To say that these last few months have been a whirlwind of activity is a far cry from true. Life has not been uneventful or dull between all of the hats I juggle but that is the emblem of this decade, we multitask and walk a fine line to balance all that life throws our way. 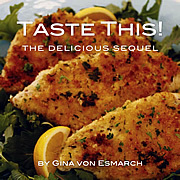 The exciting news is that amidst all of this activity a sequel to my first cookbook was released- Taste This! The Delicious Sequel. 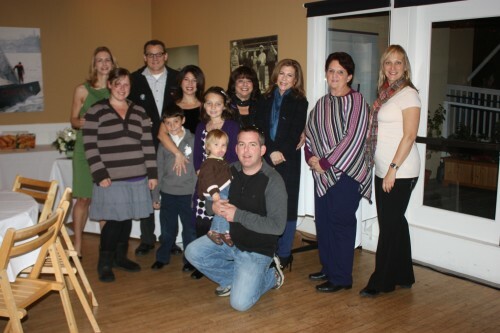 Book signing and all, things are off to a very exciting start as we look down the barrel at 2012. In honor of this personal milestone (which was only possible due to the love and support of my family and friends) I wanted to share a wonderful holiday vegetarian appetizer recipe from the cookbook. And if you are tempted to try more of the recipes, your fingers are a few key strokes away from the online purchase button (look to your right hand side of this page) ;). Cook tortellini according to package directions. On a large cocktail toothpick, layer according to above order. 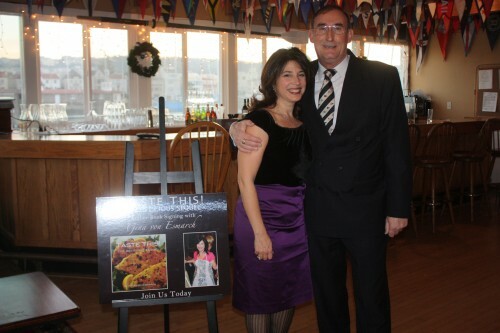 A few out takes from the first cookbook signing held at the Golden Gate Yacht Club (Thank you Norbert and Madeleine)! 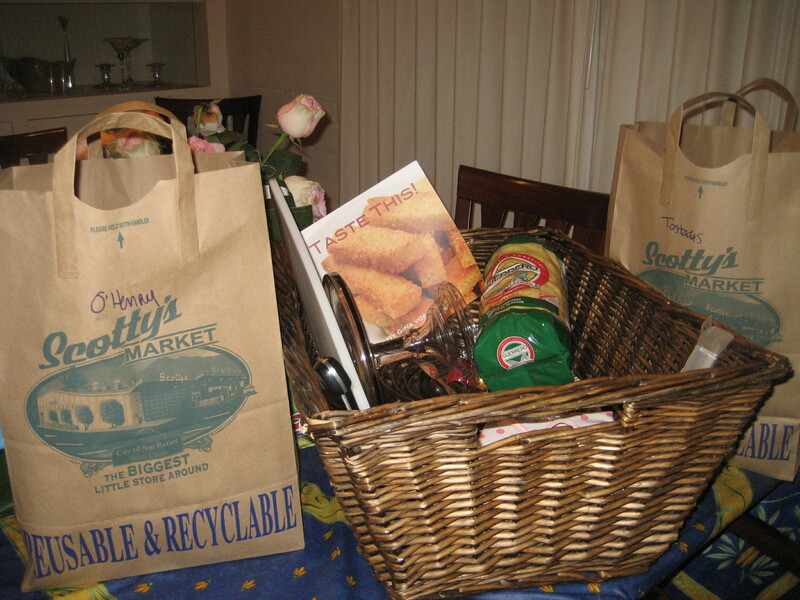 Published on April 30, 2010 in General, Project Update and Recipes. 1 Comment Tags: Just Let Me Lie Down, Kristin van Ogtrop, La Maremma, Laptop TV Mom, rice salad, Silicon Valley Moms Blog, Stacy Libby, Vino Locale, www.ltvmom.com, www.svmoms.com, Zia Maria Rosa. Have I stumped you yet? What on earth could I be talking about now? 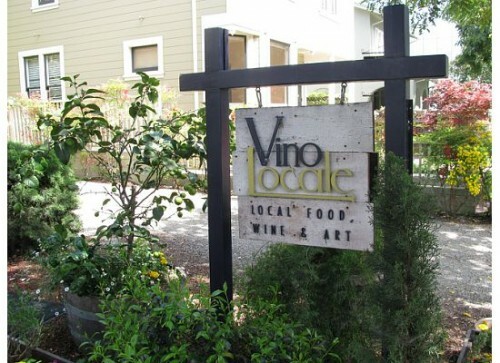 It all starts with an invitation to lunch at an adorable restaurant in Palo Alto called Vino Locale. The proprietor is the seventh son of a seventh son and had quite a personality. While the restaurant is typically closed on Monday, this colorful gentleman played host to a group of ladies serving his finest savory and sweet nibbles. 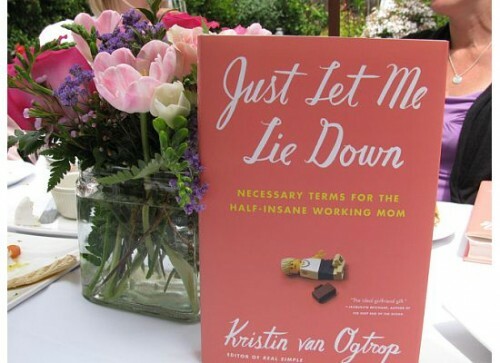 The event was the then upcoming release of Just Let Me Lie Down – the necessary terms for the half-insane working mom – written by Kristin van Ogtrop, the editor of Real Simple. I’ve selected this recipe from my treasure trove just might fit the bill- easy to make and allows time for the cook to ‘just lie down’ and take a nap. It makes a nice side dish or light stand alone meal. 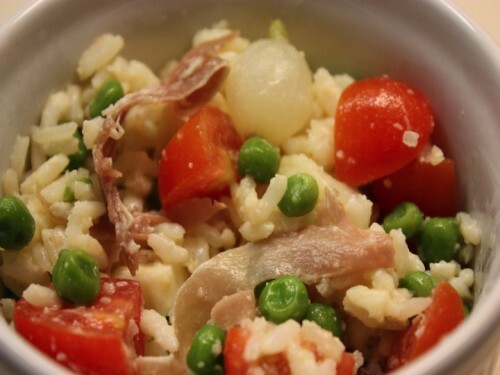 It is one of my favorite summer recipes taught to me by my Zia Maria Rosa when we spent some time one summer in La Maremma, Italy. The weather there is so hot in the summer that the dinner meal is typically prepared at breakfast when it is still cool enough to turn on the oven. This recipe can easily be modified to include most anything yummy in your fridge or pantry — the possibilities are endless, have fun with it and know that in some way this reflection of my time spent in Italy ties back to my chance meeting with Kristin to celebrate her new book and our discussion of my upcoming cook book – it’s really all just ‘Real Simple’. Cook rice according to package directions. Set aside to cool. Slightly under cook peas and onions and drain and set aside. In large size bowl, mix all prepared ingredients together. Then add Parmesan cheese olive oil, vinegar and mayonnaise. Special thanks to my good friend Stacy Libby for all of her photos from the luncheon. For a great blog-time check her out on Laptop TV Mom at www.ltvmom.com. 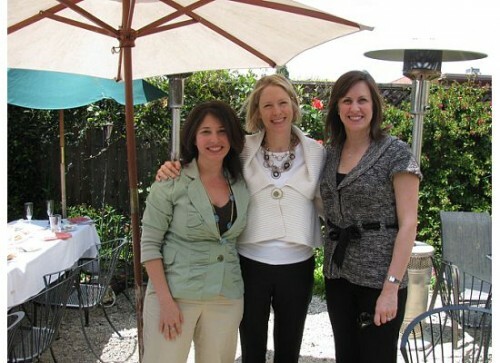 And thanks to the Silicon Valley Moms Blog for the wonderful opportunity to meet Kristin. You can order Kristin’s book on Amazon. Published on March 23, 2010 in Project Update. 3 Comments Tags: cocktail, Dirt & Noise, Ilina Ewen, ilinap. This guest post is from the friend I’ve yet to meet in person. We speak to each other nearly daily via Facebook and Twitter – we share laughs, recipes and stories and we talk about spending time together when our lives finally collide. Until then, she honored me with her gift of words and mixology. This mystery woman – Ilina Ewen writes a wonderful blog called Dirt & Noise and can often be found on Twitter at @ilinap. Thank you Ilina, for helping me drink this new year away with illusions of beach-side naps and fruity blissful beverages! 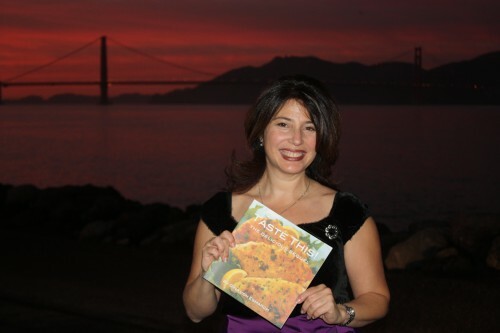 I haven’t yet met this fellow foodie and cocktail maven on the left coast, though I count her among my friends. I have a hunch that when we meet we could very well gab for hours on end whilst shopping and sipping, leaving little room for breaths and pregnant pauses. Gina perks me up, makes me chuckle, and whets my appetite. I’m dying to pull up a barstool in her kitchen and nosh and toast and laugh. I imagine Gina has a lovely kitchen. I bet she has really cute aprons too. A little bird, known as Facebook, told me that Gina will be blowing out candles on a cake this week. Nevermind just how many candles. Since she’s the one who inspired me to start baking from scratch (I’m telling you, her blueberry muffins are sinfully delicious. ), I’m pretty sure she’s indulging in a damn good cake. Let’s just say that I’m a better mixologist than a baker. I’ve concocted a little birthday cocktail for my friend Gina. I’d whisk her away to a blue hued sea with white sand beaches and red pedicures if I could. We’d eat fresh fish, succulent pineapples, and sweet coconut juice. This must sound like a romantic rendezvous to some, but for mothers who work work work, paradise is a beach replete with libations and girlfriends where no one calls us Mommy. So to toast Gina on her big day, here’s my little taste of paradise. Cheers! Pour first three ingredients over ice in a high ball glass. Add pineapple juice and an ever so slight dash of grenadine. 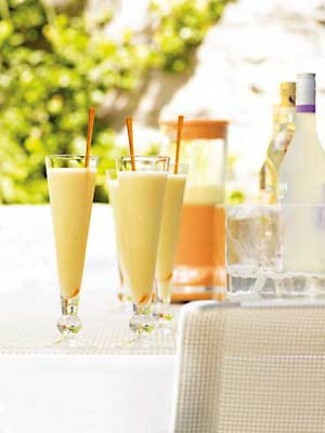 Skewer a pineapple wedge and banana slice to plop in as garnish. Published on June 15, 2009 in Project Update. 1 Comment Tags: bags, View from the Bay. Groceries purchased, lists made and bags are packed. Seems like a whole lot of organization for five minutes of tele but what do I know. This will be one for the books – no pun intended – okay, maybe just this time it was intended. 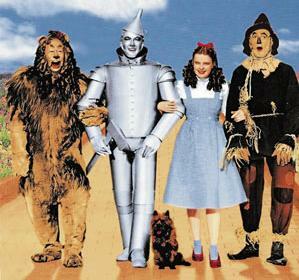 Stay tuned and wish for the best – I certainly am hoping not to make a fool of myself. If I only I could find the perfect opening line, let the cards (or spatulas) fall where they may. Published on March 5, 2009 in Project Update. 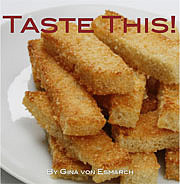 0 Comments Tags: book review, Chefdruck, Italian Picnic Chicken. This recipe was one that I remember my Grandmother (Nonnie) making for those casual Sunday night family dinners and we used to all want to scrape the pan for the yummy breadcrumbs at the bottom of the pan (AKA midiga – in her Sicilian dialect). Needless to say, with a family as large as ours was, she made more than one pan and there was plenty of ‘midiga’ to go around. I had a tough time choosing which recipe to feature today, and I ended up choosing the Italian Picnic Chicken. 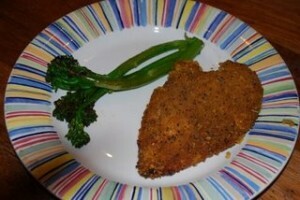 I had never tried breading chicken breasts with corn flakes and I was eager to try it. The chicken was a huge hit, not only with Steve, but also with the kids. It was juicy and crunchy. I’m making another batch tomorrow night. I served it with some sauteed broccolini. Published on November 20, 2008 in Project Update. 2 Comments Tags: accomplishment, book printed. Today was a day of personal accomplishment – I received the first copy of the printed book at 10:30 am this morning and it looked really nice. Everything from the quality of the paper to the resolution of the photos is great. The layout looks crisp and clean and is easy to read. I feel a smile growing across my face…pins and needles are a thing of yesterday (and the past year!) Tonight it is time to smile. More hard work ahead but for this moment, I will enjoy the feeling of accomplishment. I think you are going to like it! Published on November 18, 2008 in Project Update. 0 Comments Tags: mailers, outreach, oz, signings.